Anyone who looks at this glowing grim reaper will think that death has arrived, although the reason for deaths arrival will remain unknown. 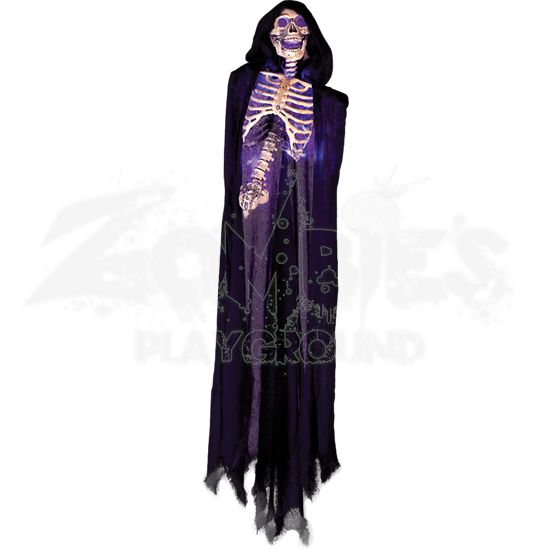 The Glowing Black Reaper Hanger is an impressive and large decoration that casts an eerie and ghastly glow. This decoration depicts a skeletal figure from the waist up, featuring only the skull, the rib cage, the spine, and the tailbone, while the rest of the skeleton is strangely missing. That does not seem to dampen the skulls spirit, though, as its mouth is opened into a wide, skeletal smile. Draped over the skeletons head and shoulders is a long black cloak, its hood pulled up over the skull while the rest of the cloak hangs down around the skeletons bony frame. When activated this glowing reaper casts a ghostly blue glow across itself, creating an impressive look. The lights can be set to pulsate, on, or off. 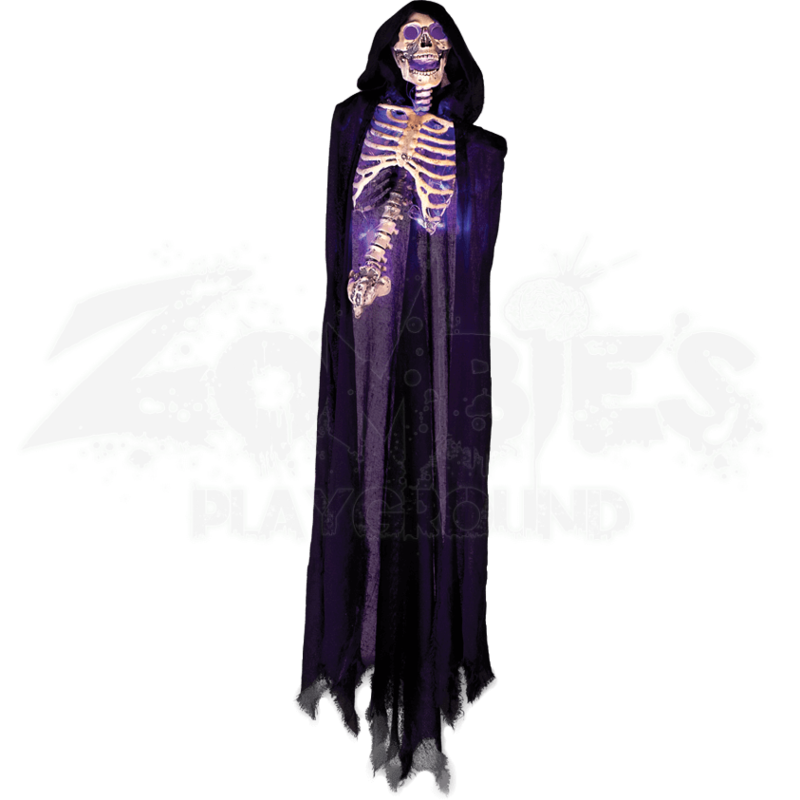 This reaper decoration measures approximately 72 inches tall, from top to bottom of cloak, and it requires 3 AA batteries to run (which are not included). Add this ghastly Glowing Black Reaper Hanger to your Halloween decorations and suddenly, they will see that much more sinister and effective, not to mention perfect for All Hallows Eve.